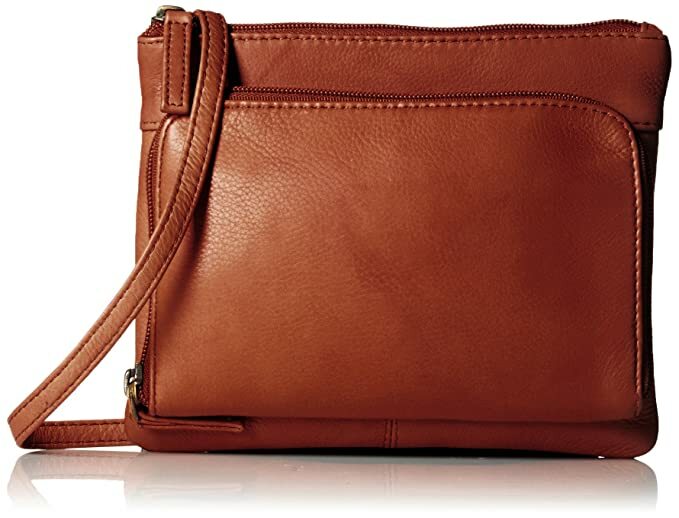 Visconti 01684 can be worn over the body as a stylish sling bag backpack or as a cross-body handbag. Come in a choice of colors. Visconti is a leading U.K. Brand of quality wallets sold in upscale luggage stores and department stores across western europe. Visconti’s eye-catching range of leather made bags, briefcases, wallets and purses are designed to suit demanding needs. Blending the finest leather with years of experience in bags manufacturing, Visconti offers its clients the perfect combination of durable, practical and affordable design. Visconti 18716 berlin bag is made from top quality leather and has double and contrast stitching. It comes with an adjustable long 55 and quot; shoulder strap to comfortably fit the tall and the short and there is a sliding rubber shoulder grip for comfort when carrying heavy loads. The strap is full detachable. The 18716 has a half flap fold over with 2 push lock snaps to hold it shut holding the flap securely and safely closed. Under the flap there are two large pockets to keep books or other important documentation. At the rear of the bag there is a wide zipped pocket across the width of the bag for slipping in a newspaper, paper notebook or manila envelopes. The inside of the bag is lined with card holders, pen holders and a cell phone pocket. The interior itself is of nice size and plenty if space for your daily filed and needs. 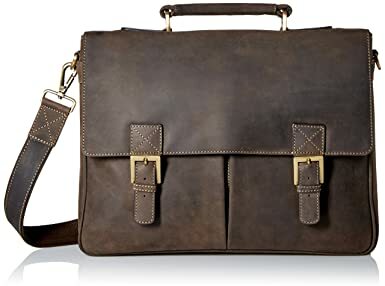 The color of the leather is a stylish distressed looking mud brown, it also has a stylish professional look to it that can be used for office / business or school. The bag may have wrinkles, scars, scratches that are inherent characteristics and natural beauty of the hide all giving it the distressed look. 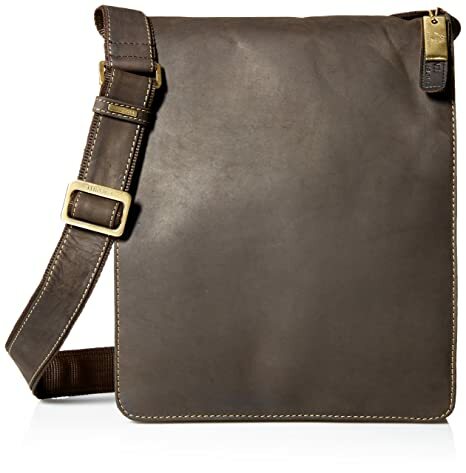 Visconti 18548 messenger bag is made from top quality leather and has double and contrast stitching. It comes with an adjustable long 60 inch shoulder strap to comfortably fit the tall and the short and there is a sliding rubber shoulder grip for comfort when carrying heavy loads. The 18548 has a full front flap over held down with 2 antique magnetic brass snaps holding the flap securely and safely shut. Under the flap and as well at the rear of the bag there is a wide zipped pocket across the width of the bag as well as an open folder for slipping in a newspaper, paper notebook or manila envelopes. The inside of the bag is lined with card holders, pen holders and a cell phone pocket. As well there is yet another zipped pocket for important documents on the opposite side of the bag. The interior itself is of nice size and can hold 3 loose-leafs, or an iPad with2/3 books/textbooks . 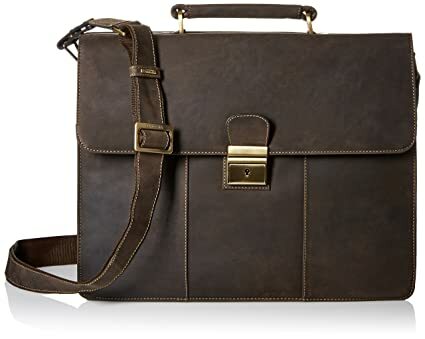 The color of the leather is a stylish distressed looking mud brown, it also has a stylish professional look to it that can be used for office / business or school. . The bag may have wrinkles, scars, scratches that are inherent characteristics and natural beauty of the hide all giving it the distressed look. Due to the nature of this product please avoid contact with light colored fabrics as there may be color transference. 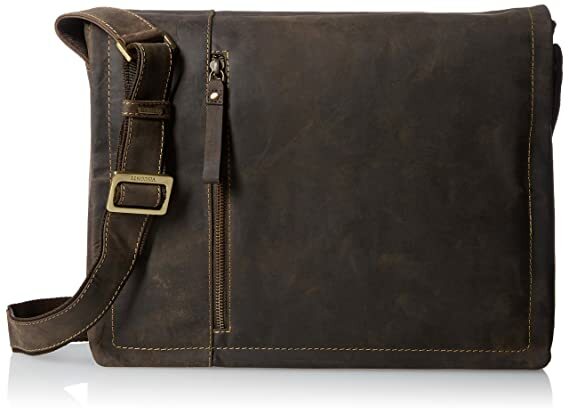 The 16072 messenger laptop bag is the most popular laptop bag from the Visconti hunter range. 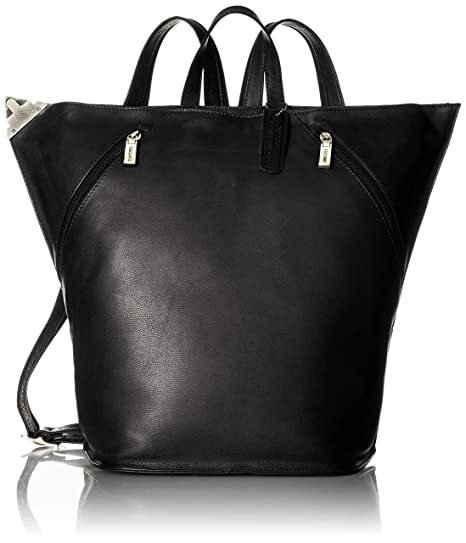 The bag is made from top quality leather and has contrast stitching. It comes with an adjustable long 60 inch shoulder strap to comfortably fit the tall and the short and there is a sliding rubber shoulder grip for comfort when carrying heavy loads. The 16072 has a full front flap over held down with 2 antique magnetic brass snaps holding the flap securely and safely shut. On the exterior of the flap is a handy vertical zipped pocket for your urgent documents. Under the flap and as well at the rear of the bag there is a wide zipped pocket across the width of the bag. There is also an open pocket for slipping in a newspaper, paper notebook or manila envelopes. The inside of the bag is lined with card holders, pen holders and a cell phone pocket. The 16072 comes with a royal blue laptop removable sleeve which comfortably holds a 13 inch laptop making it an all time favorite. Alternatively the sleeve can be removed making space for ring binders books and magazines. 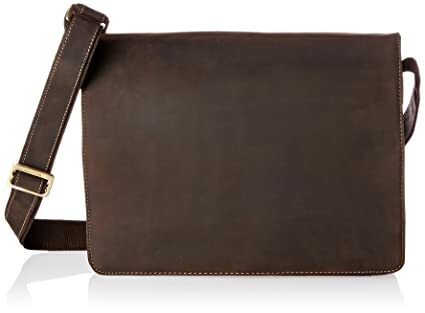 The color of the leather is a stylish distressed looking mud brown, it also has a stylish professional look to it that can be used for office / business or school. . The bag may have wrinkles, scars, scratches that are inherent characteristics and natural beauty of the hide all giving it the distressed look. Visconti Apollo is made with distressed oil brown leather has that dark and sultry look about it. 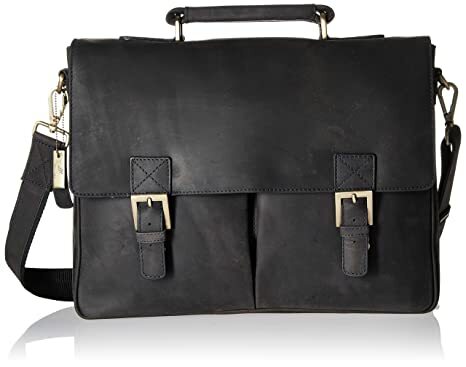 There’s no doubt that this Apollo lockable briefcase has plenty of attitude. It is made from a strong, quality leather which is smooth to the touch and has a superb oiled finish. 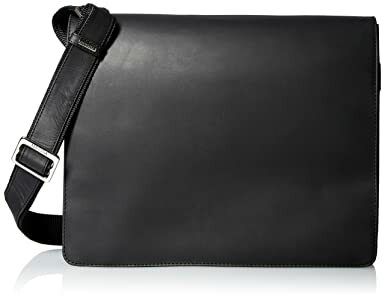 The accompanying long adjustable strap enables the bag to be worn either on the shoulder or hands-free across-the-body. This Visconti product is made from the finest leather and has that gorgeous new leather aroma. Leather items may have wrinkles, scars, scratches that are inherent characteristics and natural beauty of the hide. 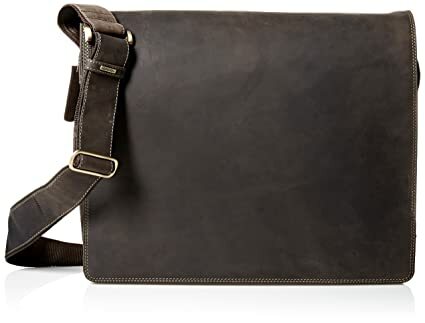 The 18410 is a stylish messenger bag from the U.K. Visconti brand. The bag is made from top quality leather and contrast stitching. It comes with an adjustable long 50″ shoulder strap to comfortably fit the tall and the short and there is a sliding rubber shoulder grip for comfort when carrying heavy loads. The 18410 has a full front flap held down securely with a magnetic center brass snap. Under the flap and as well at the rear of the bag there is a wide zipped pocket across the width of the bag .there is also an open folder for slipping in a newspaper, paper notebook or manila envelopes. As well there are 2 convenient pockets for a cell phone and a music player just under the flap of the bag. The main compartment of the bag has 2 sections which can comfortably accommodate an iPad with2/3 books/textbooks . There is yet another zipped pocket for important documents on the opposite side of the bag. All in all it makes for the perfect organizer bag. 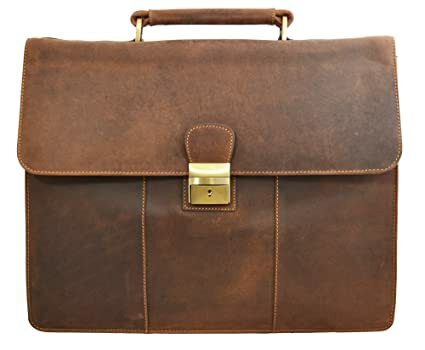 The color of the leather is a stylish distressed looking mud brown, it also has a stylish professional look to it that can be used for office / business or school. The bag may have wrinkles, scars, scratches that are inherent characteristics and natural beauty of the hide enhancing its special distressed look. Visconti hunter collection is made with distressed leather and has a dark and sultry look about it. 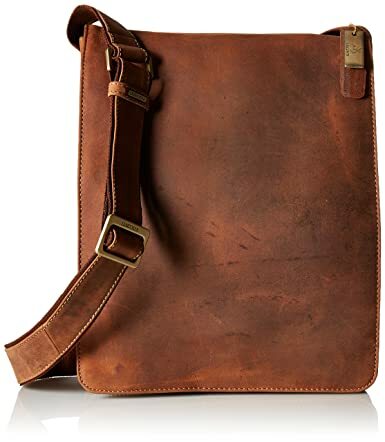 There’s no doubt that this extra large hunter messenger bag has plenty of attitude. It is made from strong, quality leather which is smooth to the touch and has a superb oiled finish. The accompanying long adjustable strap enables the bag to be worn either on the shoulder or hands-free across-the-body. This Visconti product is made from the finest leather and has that gorgeous new leather aroma. Leather items may have wrinkles, scars, scratches that are inherent characteristics and natural beauty of the hide. This is an extra large bag suitable for a4 paperwork, files and document folders; will fit up to one a4 lever arch file. The long adjustable wide strap is made from leather topped hard wearing polyester and there is a sliding rubber shoulder grip for comfort when carrying heavy loads. 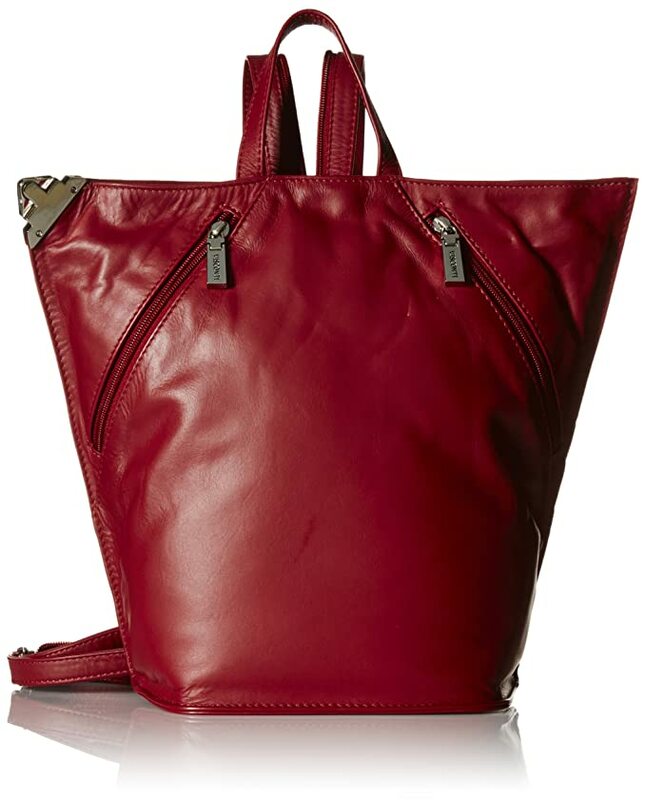 The interior of the bag is fully lined and pocket tops are reinforced with leather trim. The main flap is luxuriously lined with suede. The base of the bag is flat. A Visconti dust bag is included. Although not specifically designed for laptops, there is capacity for laptops measuring no more than 15.7 x 13.7 x 5.1 inches. As no padding is provided, we recommend you use a protective skin/cover. Colors: oil brown (mud) or oil black.